> Economically important fish species have long been regarded in isolation from each other and their habitat. 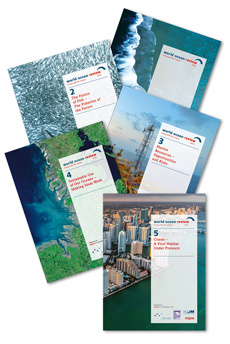 In order to comprehensively assess the impacts of fisheries the entire habitat must be considered. Only then will a sustainable and economic fishery system be possible. Methods now exist for these kinds of comprehensive analyses. Moreover, it is now known that not only the fisheries, but also changing environmental conditions can affect the size of fish populations. 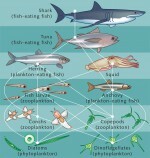 1.1 > Interrelationships between organisms can be illustrated as a food web with various trophic levels. The ocean is tremendously diverse and species-rich. It is the home of countless organisms living in very different ecosystems. Mussels and worms thriving in the Wadden Sea are a food source for millions of migratory birds. Communities of tube worms, crustaceans and bacteria have developed at volcanic hydrothermal seeps in the deep sea. Elsewhere kelp forests sway with the currents while sea otters on the hunt swim through. Sea birds nest on rugged and rocky coasts while thousands of iridescent fish species frolic in reefs. Fish are a key component of marine biotic communities. For millennia mankind has had an especially close bond with them because they provide people with food. Around 43 million people worldwide make their living directly from fishing or fish breeding. But people are careless with this natural resource. Over thousands of years too many fish have been taken. Many fishing grounds have been overfished. Furthermore, the ocean is being polluted by effluents from industry, settlements and agriculture. Some habitats such as mangrove forests are destroyed directly by construction. Considering the serious situation, it is important to investigate the present status of marine fish. The diversity is amazing: there are over 30,000 fish species in the world. Some are only a few centimetres long and live hidden among corals. Others, like the blue marlin in the Atlantic, are up to 3 metres long and roam the open sea. Herring glide through the North Sea in large schools, while anglerfish do their hunting in the darkness of the deep sea with a bioluminescent lure extending from their foreheads. Each of these fish types is part of a habitat, an ecosystem, and exists in complex interdependence with many other species in a food web. Specialists arrange the organisms within the food web into different nutritional positions called trophic levels. At the bottom there is a myriad of microorganisms. These include microscopic single-celled algae such as diatoms, dinoflagellates and cyanobacteria, collectively known as phytoplankton, which drifts freely in the water. It carries out photosynthesis, which means that it uses sunlight and nutrients to synthesize sugar, and from this builds other energy-rich substances. Scientists refer to this biochemical development of biomass as primary production. Phytoplankton is the food source for small, free-swimming crustaceans or fish larvae, referred to as zooplankton. Zooplankton, in turn, is food for small fish and other organisms. The amount of fish that can exist in a given region is primarily determined by the activity and amount of primary producers; greater primary production can support larger fish stocks. 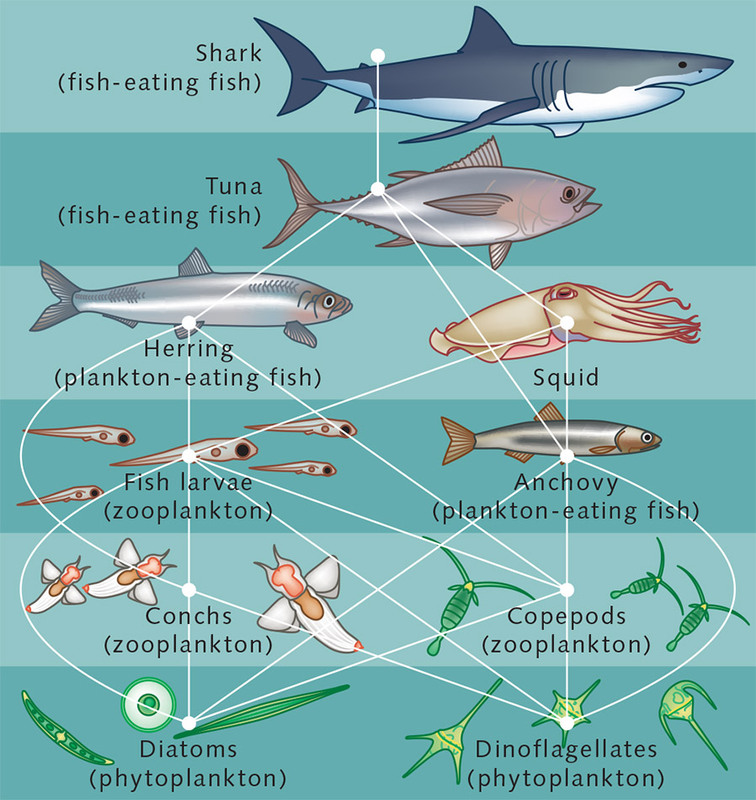 The simple model of a food web in which smaller organisms are eaten by larger ones, however, is not sufficient for explaining the relationships in the ocean. What the larger animals do has an impact on the entire habitat. Many other interactions are also taking place. 1.2 > Sardines are also threatened by predators from the air. 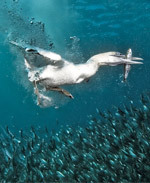 Cape gannets off South Africa can plunge up to 8 metres below the surface to grab their prey. The knowledge that the web of relationships among ma-rine organisms is complex is not new. Similar connections are also known for many habitats on land. But for a long time in the fisheries there was a tendency to focus on individual commercially important species such as cod, herring or sardines. Only in the past ten years has the importance of looking at entire ecosystems become accepted for the long-term preservation of fish stocks and effective management of fisheries. The reason: numerous stocks have been overfished in many ocean regions in the past. In some cases this has resulted in serious changes to the habitats. It is gradually being recognized that the complexity of the marine system has to be considered in fish-ery management. Marine habitats are by no means influenced only by primary production at the base, but also by factors at the higher trophic levels, from the top down. An example can be seen in the eastern Atlantic waters of the Benguela Current off Angola, Namibia and South Africa. Persistent winds in this region push the surface waters out to sea. This is replaced by nutrient-rich water rising from below near the coast. These upwelling regions are enormously productive and rich in fish. Over many years mostly foreign fleets have fished intensively for sardines here. At the beginning of this century the stock collapsed. 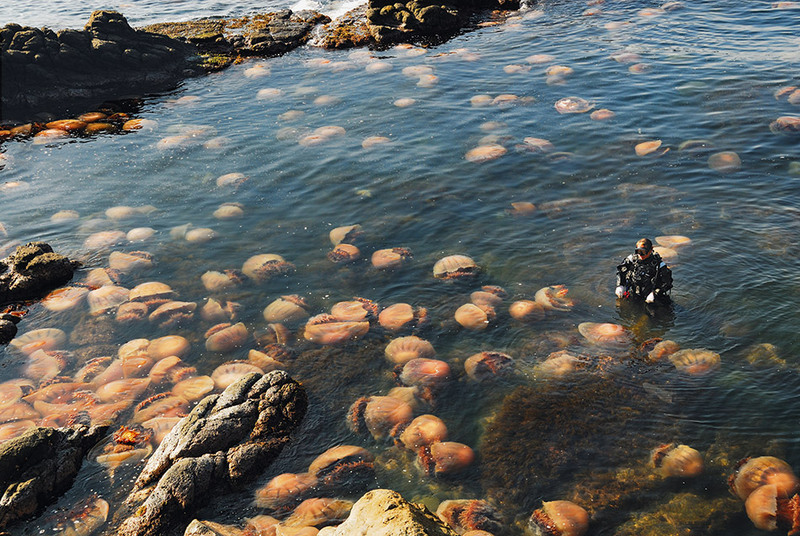 Since then the jellyfish population in this region has greatly increased. Experts believe that the decline of sardines represented the loss of an important food competitor because both sardines and jellyfish feed primarily on zooplankton. In addition, young jellyfish are eaten primarily by fish. The jellyfish scourge was unexpected. It was assumed that with the decline of the sardines the abundance of anchovies, another small fish species native to this region, would increase. The anchovy has a diet similar to that of the sardine and should have kept the jellyfish in check. 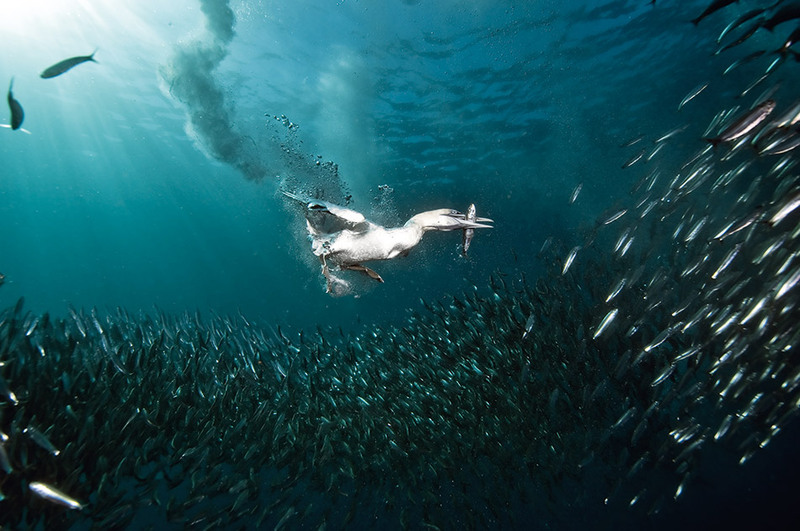 But the anchovy does not appear to be a true competitor of the jellyfish, because so far the anchovy population has remained smaller than that of the sardines. Perhaps the very dynamic upwelling area is a less suitable habitat for anchovies. 1.3 > Specimens of the jellyfish Nemopilema nomurai can reach a size of 2 metres and weigh up to 200 kilograms. A few years ago hundreds of these animals drifted into Japanese waters, seriously interfering with fisheries.